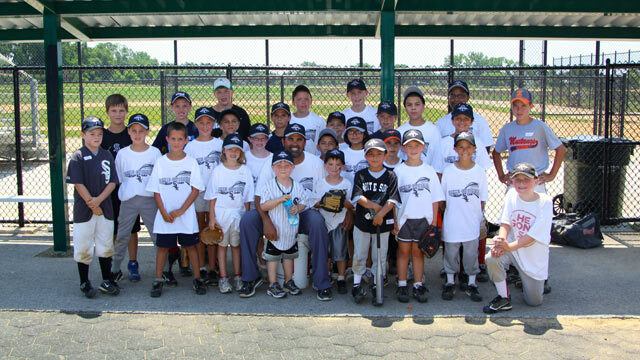 As most of you know, last week during the All-Star break I held my first-ever kids skills camps. The experience was incredible, and if the kids had half as much fun as I did, I know they had a great time, too. I owe a special thanks to the Bulls/Sox Academy for their help in putting this together as well as to all of the parents who brought their kids out. I will, without a doubt, be doing this again, but for now you can check out the pictures I have posted and see what the camps were all about! Thank you Ozzie, the kids had a great time and definitely a life changing experience for them at this time of their development. Thank you for taking the time out of your busy schedule and all the other things you could have done with this mini-break, I think your investment was the best you could have made for all the impacted kids… Special thanks to the Sox/Bulls Academy, for also reaching out to all parts of our Chicagoland community and helping out where they could to make this experience available to kids who otherwise might not be able to attend… Thank you. Lucino – a thankful parent.